We have VOLUNTEER opportunities with our upcoming Trustmark Pro-Am Golf Tournament!On Wednesday, September 19th we will need help stuffing bags for the players. That will be done at the Friends office, located at 3900 Lakeland Drive, Suite 205 in Flowood. · Then on Sunday, September 23rd is the Sponsor Party at the Country Club of Jackson. Sign up first by clicking on sign up and secondly by selecting the green check mark next to the task/date you are volunteering for. If there is no check mark, that task is full. Please be sure to sign up for a specific task. 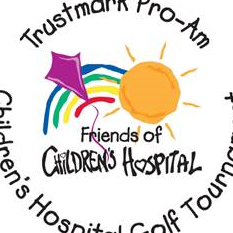 September 24th Reunion: Morning Shift- 10:30 a.m. until 2:00 p.m.
Log in to see who is volunteering for Trustmark Pro-Am Tournament for Friends of Children's Hospital!